What’s this blog all about anyway? | Rabbi Lawrence A. Hoffman, Ph.D.
← Yom Hasho’ah is virtually upon us…. Narrowly defined, liturgy is the history and meaning of the prayers that go into services. But that constrained understanding misses the most important point, namely, that liturgy is a kind of performance. No one buys a prayer book for personal reading purposes. If the thing doesn’t get prayed from, it doesn’t count as liturgy any more. So liturgy is the way a community defines its public identity; it is the ritualized ways we go about announcing who we are to other people (who, we hope, will say the same sort of thing back to us, and thereby let us know we are not alone). That’s where “life” comes in. Liturgy is the place where text meets life. Everyone has a liturgy, usually more than one, in fact. Birthday parties are liturgies; so too are presidential debates, Super Bowl parties, Oscar night, half-time shows, and a whole lot of business meetings. Sometimes these accomplish other things, but they are liturgical in form: people dress a certain way, sit in certain seats, eat certain foods, and say predictable things. Liturgies define calendars: the way we mark time, what we consider holidays, and why those holidays matter. They require certain spaces: board rooms for executive meetings, dining rooms for formal parties, the Oval Office for presidential announcements. They establish community (who gets invited) and pecking orders within them (who hosts, acts as chair, gets honored, and sets the agenda). They both build on and establish tradition. The liturgies people attend and the energy they put into them are pretty good indications of who and what those people value most. So what’s this blog all about? It’s “a little bit of liturgy” but because liturgy is the way we ritualize life, it is a whole lot more about life. It’s my unabashed take on a lot of life: our communities, our values, our identity, and our stories in the making – but with a twist, a liturgical twist, the insight that comes from knowing that human beings are ritualizing animals, and that how and what we ritualize says a lot about who and what we want to be. This entry was posted in liturgical insights and tagged community, liturgy, ritual. Bookmark the permalink. So glad to find that you’ve started a blog! You don’t know me, but I’m probably one of your biggest fans. Welcome to the blogosphere! I enjoyed your first couple of posts here and I’m looking forward to reading future posts from you here in the future. It is so good to hear from you via another mode of communication. Now that you are here, in the spirit of this post, I pose to you a question: Is blogging liturgy? I think I have to take issue with david saying he’s your biggest fan – because I might beat him in that department 🙂 I am thrilled to see you blogging. Who couldn’t use a weekly dose of rabbi hoffman in their lives? And here I thought Joel was your brother! I have met you through your book Covenant of Blood – very fine indeed. Jeffrey Gibson was the one who recommended it to me many years ago. I am glad you enjoyed Covenant of Blood. Some people have told me it is my best book. It is certainly the most controversial. I tried answering you earlier, but somehow lost the response in trying to post it. I am still learning the blogging ropes. For all I know, that response will still show up, and this will be redundant. I appreciate your words about Covenant of Blood. Many people think that is my best book. It was certainly the most controversial. I had not meant it that way, but that is how the research turned out. I actually sat on it for a long time before publishing it; then (in a massive Freudian slip, I think) lost it entirely (it was the early days of computers and easy to lose things). I eventually found a hard copy and paid someone to retype the whole thing into the computer for editing. Only then did I finally get around to publishing it. A liturgist you most certainly are already. The question is: once you are a liturgist, what exactly is it that you are? But that is a question for another time. I look forward to seeing your dissertation. Hi Cuz. So do you think that folk today are more want to go to board rooms, football games, parades, et. al. because they get the “answer” they want; that is, the get the enjoyment of the games, they know the winners, they see Santa Claus. And, they don’t go to church or synagogue because they get no answer or satisfaction to their ritual. After reading this, you know why I don’t blog. Thanks Jimmy! Good to hear from you here. 1. We need to know what it is that is being measured when we say religion is declining. It may be that the spiritual impulse is still the same or even greater, but that organized religion is not offering what people want. This has been an underlying cultural conflict ever since colonial days. Religion may have to adjust to the search for spirituality (or “meaning,” which I take to be the same thing). I think synagogues are in more trouble than people like to admit. 2. Regardless of what happens to religion in general, we still have a problem with people attending services. 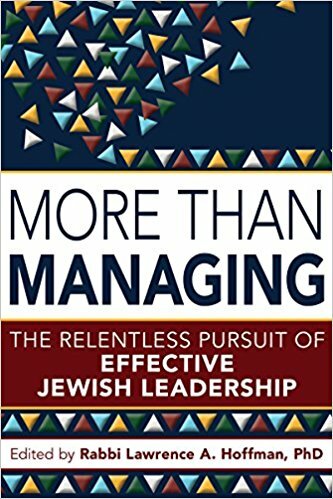 Attendance is declining in most places because services cannot compete with other options for people with limited discretionary time; and because people belong to synagogues without commitment overall to the community that the synagogue represents. Once upon a time, people joined out of a sense of civic communal duty. Now they join because they want something in return: like a bar/bat mitzvah. Instead of a civic community, we have a limited liability community. In the days of civic community, they made friends at synagogue, logged time at synagogue, and volunteered at synagogue. In the limited liability community, they come only for what they want to get from the place. If services were compelling in spiritual value, they would want to get that there, and they would come anyway. But when services are not as compelling as ball games, movies, facebook, and family time at home, why would they come? 3. There are exceptions, however — places that fill up for Shabbat services, Friday night or Saturday morning. We need to know a lot more about these success stories before we can say for sure what the future holds. I hope to post thoughts on synagogues generally that will go deeper into these matters. It’s a treat to be able to read your current personal thoughts and ideas via this blog site. Consider for a moment: If blogging time were to replace attendance time in churches and synagogues, perhaps, finally, you are starting an endeavor that may solve the problem!